El futuro: Un cuento al revés #1 - "¿Carmen tendrá éxito?" 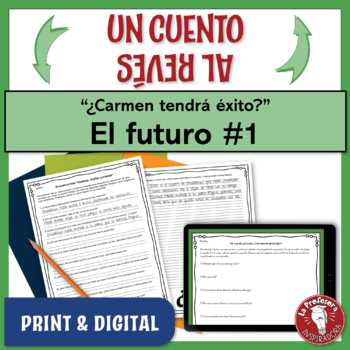 Practice the future tense in Spanish with this twist on a traditional classroom activity! 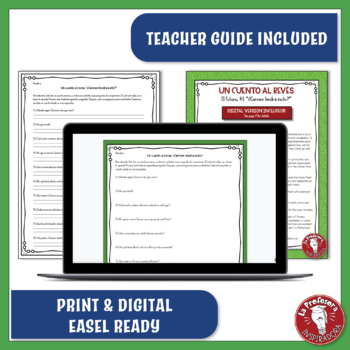 The “Cuento al revés” worksheet is structured like reading comprehension questions, but is actually a creative writing activity that also reinforces key grammatical concepts and vocabulary. 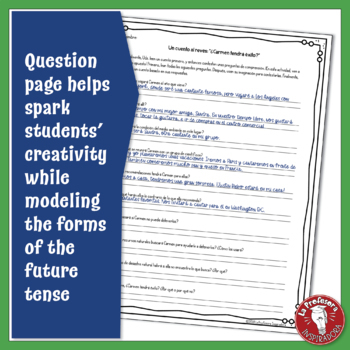 Your students will see the correct use of the future tense modeled in the questions, which will support them as they come up with their own creative answers! This activity has become a class favorite for my students. The questions start out routine and predictable, but they get sillier and stranger as they go! 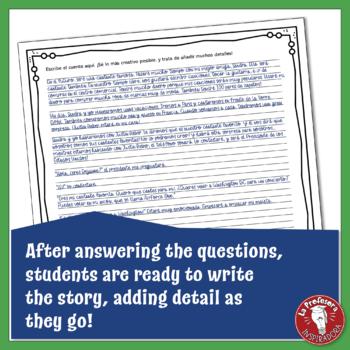 I love to see the surprised expressions on my students’ faces as they encounter the questions that throw a wrench in the stories they are creating! Un cuento al revés — El futuro, #1: "¿Carmen tendrá éxito?" ❊ Like this activity? Find more "Cuento al revés" worksheets here! ❊ To try out the "cuento al revés" activity format before you buy, download my "cuento al revés en miniatura" freebie: "La tía de Alejandro"
❊ For more Spanish activities related to the environment, click here!